Kennedy Design is a professional team, qualified to Chartered Member status. Professional bodies include the ‘Royal Institution of Chartered Surveyors’, the ‘Chartered Association of Building Engineers’, the ‘Chartered Institute of Building’ and the ‘Institution of Engineering and Technology’. Both directors have worked extensively within the built environment on a wide variety of projects over many years embracing architecture, building surveying, structural engineering and project management. Brian Kennedy is a Chartered Building Surveyor and Chartered Construction Manager. He is a graduate of the University of Ulster Jordanstown. Brian has a distinguished background in higher education also, lecturing on subjects across the built environment. He presently specialises principally in the Building Surveying and Project Management elements of the practice. Sean Kennedy is a Chartered Building Engineer and a Fellow of The Chartered Association of Building Engineers. He currently holds the position of Regional Secretary on the CABE N. Ireland Committee. Sean is a graduate of Queen’s University Belfast. He specialises chiefly in Architecture and Structural Engineering within the practice. Royal Institution of Chartered Surveyors (RICS) members represented by designation MRICS, are professionals qualified to the highest standard. RICS is a worlds leading professional body for qualifications and standards in land, property and construction. Chartered Building Surveyors work within the construction industry dealing with design, building survey reports, maintenance, repair, refurbishment and contract management. Chartered Association of Building Engineers (CABE) members represented by the designation C.Build.E are registered Chartered Building Engineers. 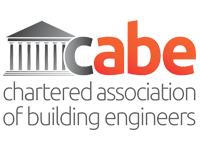 The designaton FCABE represents a Fellow of the Chartered Association of Building Engineers, the highest grade of membership attainable within the professional body. Chartered Building Engineers are professionals who design, construct, evaluate and maintain buildings. Their work includes both technical and management processes by which buildings are designed, constructed, renewed and maintained. The Chartered Building Engineer’s expertise includes a detailed understanding of statutory regulations, and technical codes and standards and the need for sustainable buildings. Qualified members of the Chartered Association of Building Engineers will have a level of competence which has been assessed and accepted against rigorous standards. Chartered Institute of Building (CIOB) members are skilled managers and professionals with a common commitment to achieving and maintaining the highest possible standards. Chartered Member status, represented by the designation MCIOB, is recognised internationally as the mark of a true professional in the construction industry.